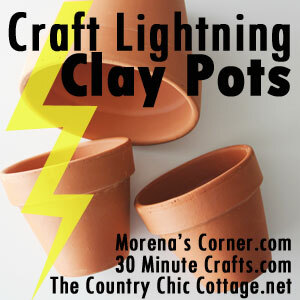 The point of craft lightning is to make a quick project that takes 15 minutes or less, excluding drying time. 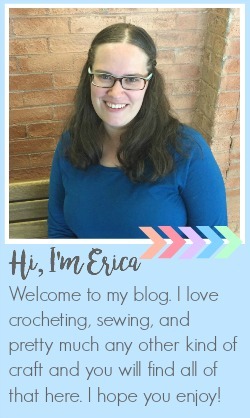 This project definitely fits those requirements. 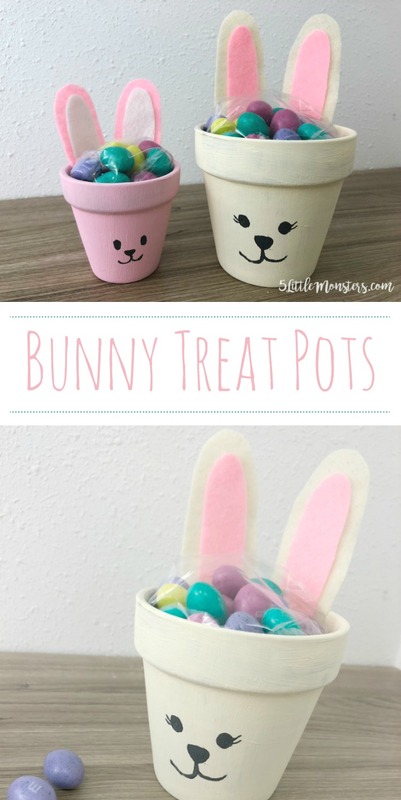 All you need is a small pot, some paint, felt, hot glue, and a few minutes to make some cute little bunnies. 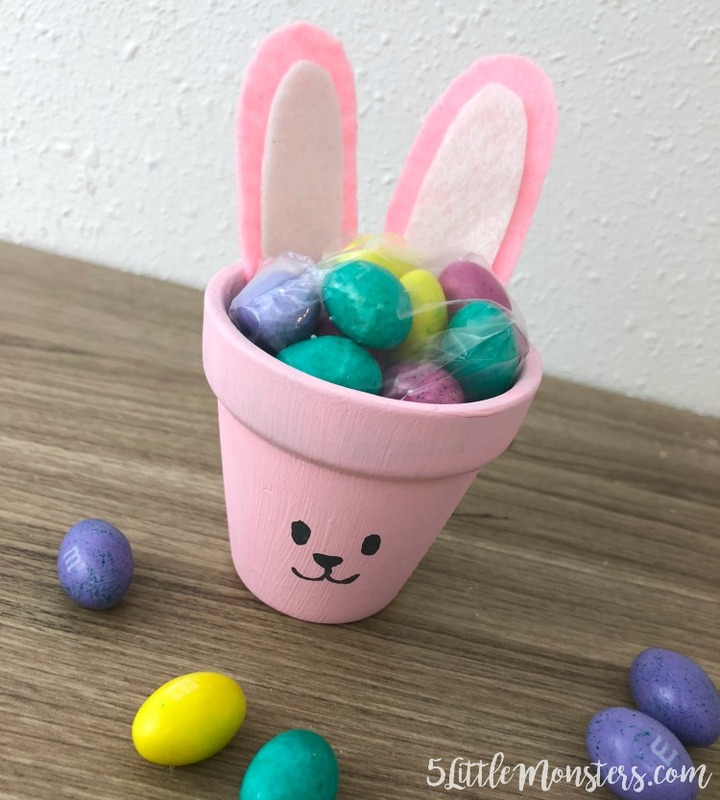 I filled some baggies with candy and put them in the finished pot to make a fun little Easter treat. First use the foam paintbrush to paint the outside of the pot as well as a little bit inside the top edge. 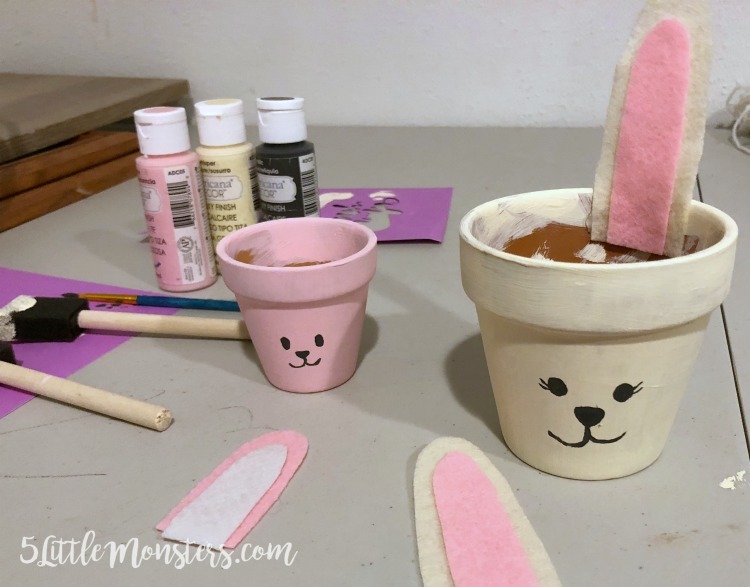 While that dries cut two ears out of felt that matches the painted pot, cut another set of ears slightly smaller than the first set in a contrasting color. Glue the smaller set of ears on top of the larger ears. 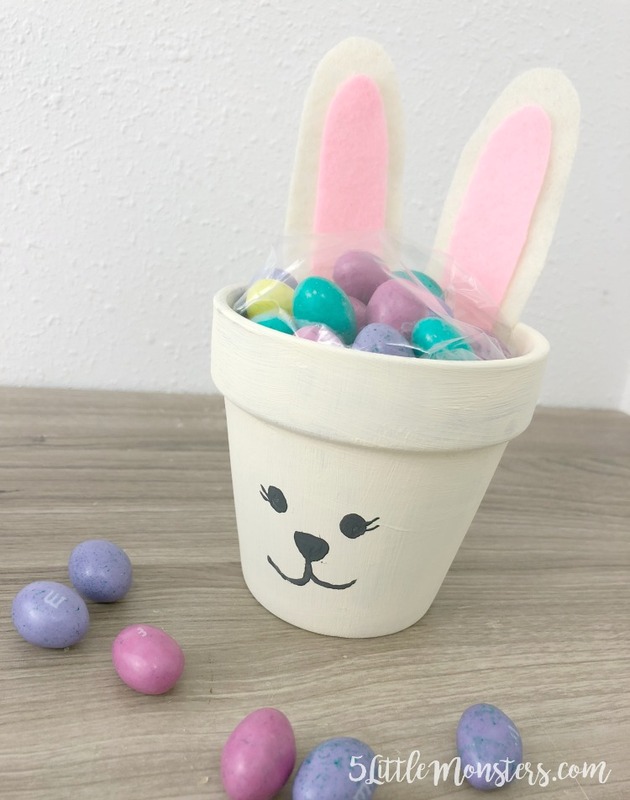 Use the black (or dark gray) paint and the round brush to paint a face on the pot, two round dots for eyes, triangle shape for the nose, and a mouth. Glue the ears inside the back edge of the pot. Fill a bag with candy, I used a treat bag for the bigger size and a sandwich baggie for the smaller size. 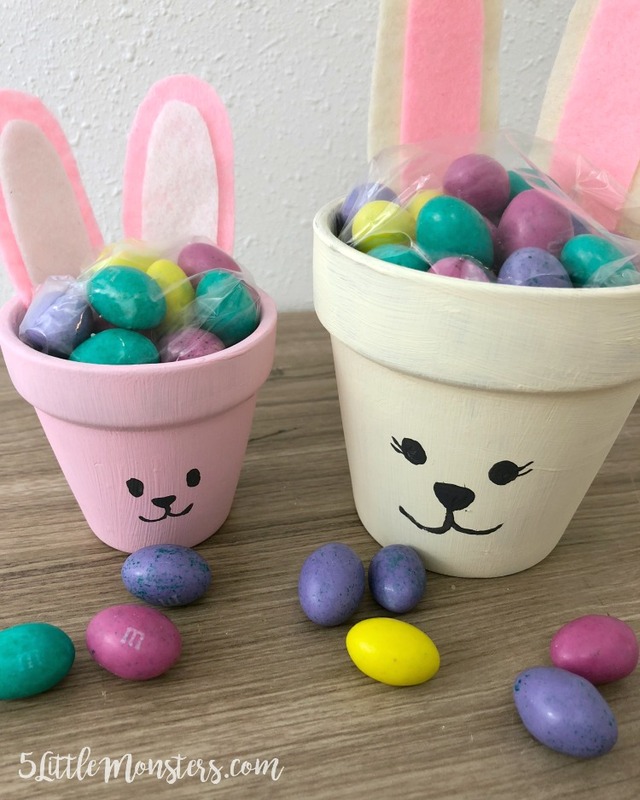 I filled them with enough candy to fill the pot, then used a twist tie to close the bag and cut the excess off the top of the bag. Put the bag filled with candy in the pot. 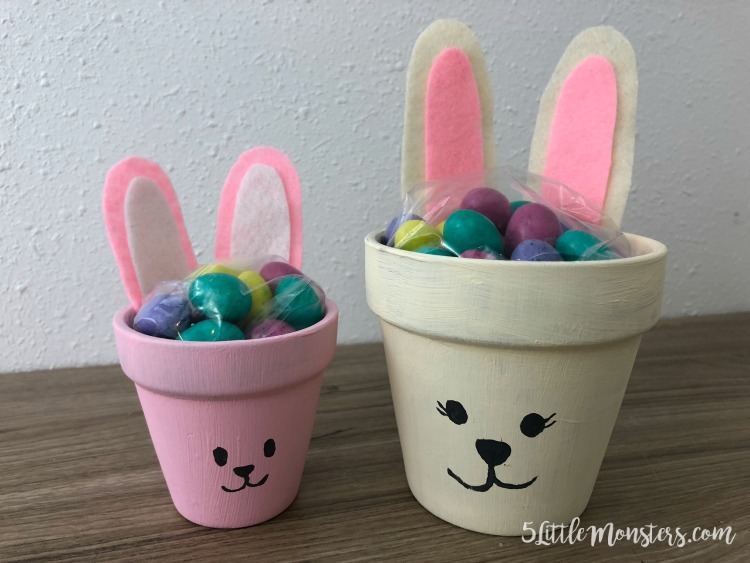 Adorable and perfect for Easter!